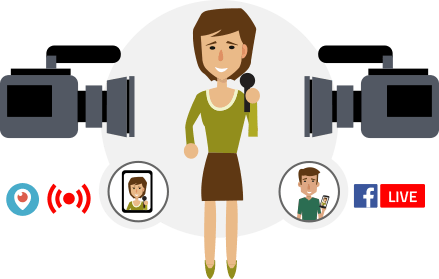 Capture live video from traditional cameras or IP streams via RTMP, HLS or MPEG-DASH. 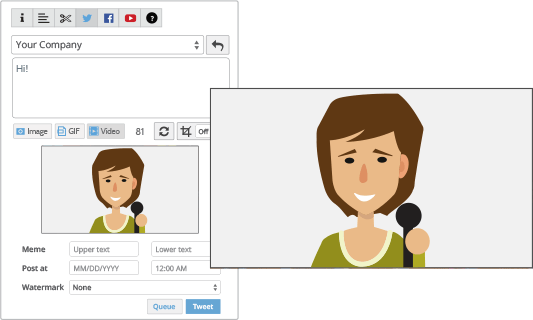 Create and distribute video clips in real-time. Download full resolution recordings (for archiving). Support for RTMP, HLS, MPEG-DASH, UDP. Using the SnapStream encoder, convert QAM/HDMI, HD-SDI or Component feeds in to IP streams (relevant for studios). 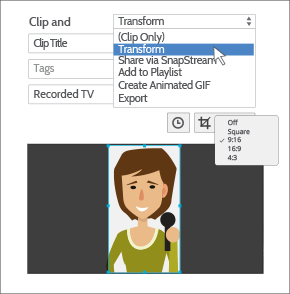 Custom cropping (create Square or Vertical clips). Post to Twitter and Facebook video clips, GIFs and images. Add meme text on TV images and GIFs. Live post or schedule for later. Add clips to a Playlist. 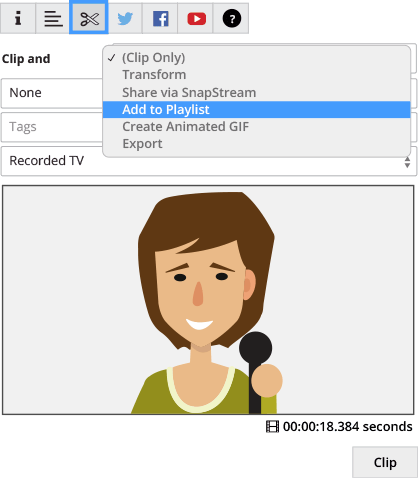 ShowSqueeze clips to H.264 or XDCAM with the option to add a watermark or embed timecode. 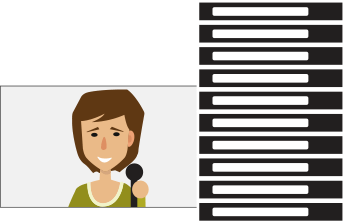 Create a high-resolution archive of all your live events.